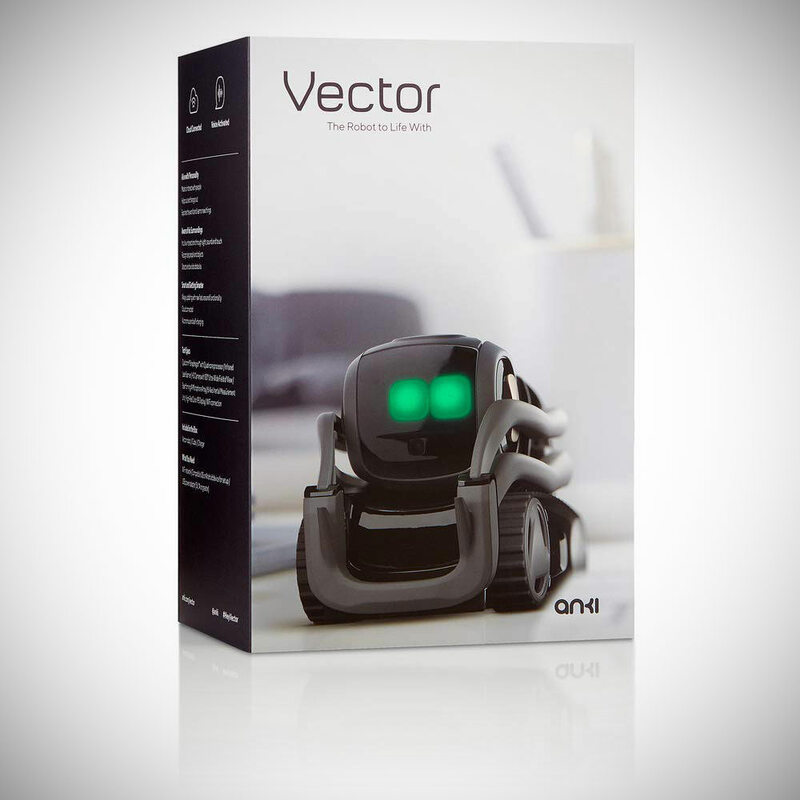 The Anki Vector is basically a tiny home robot with interactive artificial intelligence technology that enables you to ask it questions. That’s right, this voice-activated sidekick can react to sound, the environment, and even recognize people while performing a variety of tasks, such as setting timers, giving the forecast, as well as snapping photos. When you’re not around, he self-charges, navigates around objects, and avoids edges. Its skills and features are being continuously updated, with Alexa integration coming soon. Product page. Read more for another video, additional pictures and information. Capacitive Touch Sensor – helps him sense being touched and held; Beamforming 4-Microphone Array – allows him to recognize natural speech and source; Ultra-Wide HD Camera – helps him detect motion and identify people; Four Drop Sensors – detects edges to help him avoid falls; Infrared Laser Scanner – lets him track distance and map environments. 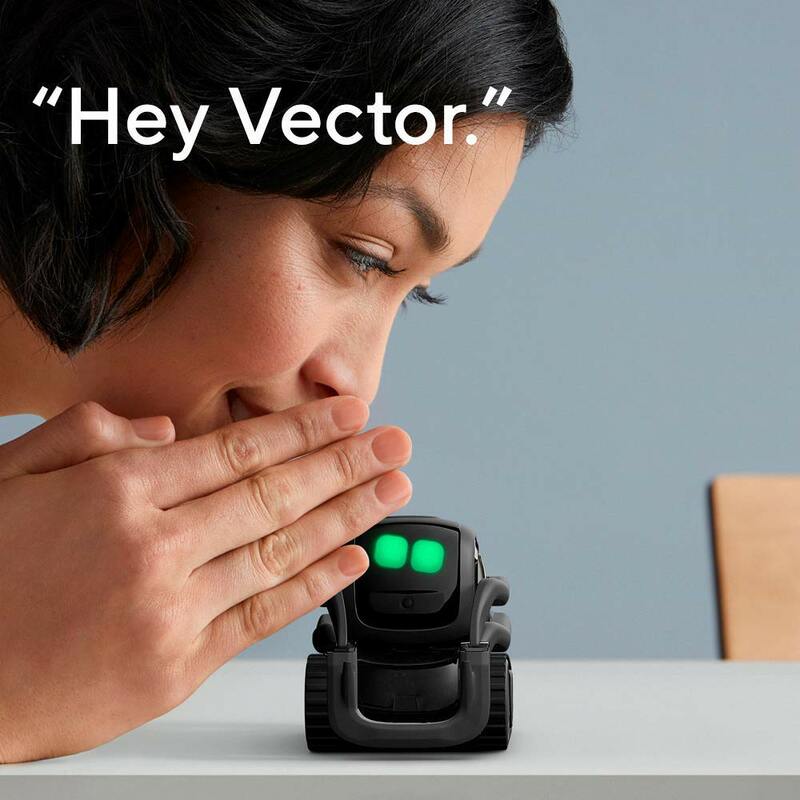 6-Axis Inertial Measurement Unit – so he knows when he’s picked up or moved; High-Res Color IPS Display – helps him convey a wide range of emotions; WiFi-Enabled Cloud Connection – brings him new capabilities,” according to Anki. More information.